What happens when famous artists and icons of the fashion world unite? Astonishing things happen, and fashion historians, E.P. 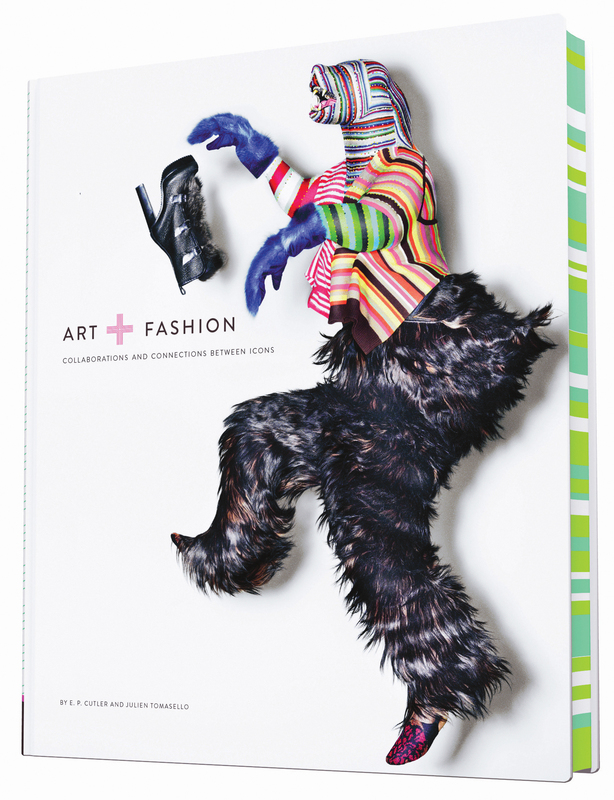 Cutler and Julien Tomasello, bring you 25 of the most noteworthy combinations in their book: Art + Fashion: Collaborations and Connections Between Icons. 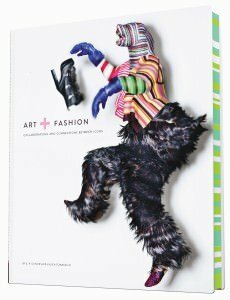 Spanning several decades of fashion and various art mediums, the book explores the creative relationships and outcomes of the provocative pairings such as Jackson Pollock and Cecil Beaton, Yasumasa Morimura and Issey Miyake, Elsa Schiaparelli and Salvador Dalí, (resulting in the famous lobster dress painted by Dalí. 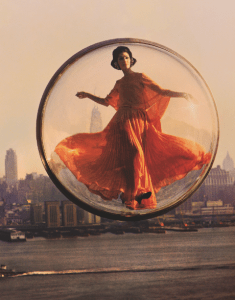 And my favorite, Melvin Skolosky’s work for Harper’s Bazaar in 1963 – the fabulous “Bubble” photos, where a model in a Plexiglas bubble is captured floating above the streets of New York and bobbing down the river Seine.